Tragic events such as the 7.8 earthquake that hit Nepal last week has brought a tremendous outpouring of help from countries all over the world. 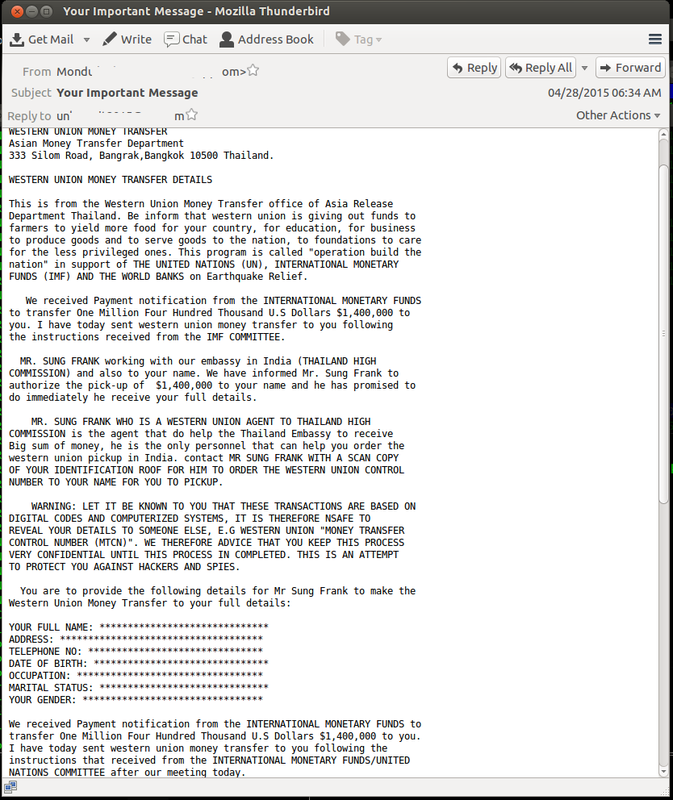 Unfortunately, it has also been used as a ploy to try and dupe users into falling for monetary scams. Spammers looking to capitalize on the best intentions of others have begun their campaign of deception by following a well-known scam known as “419,” a scam that promises a victim a significant amount of money, but only after a payment has been made to ‘verify the identity' of a would be victim. 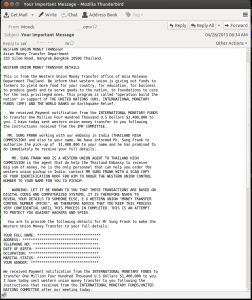 Online versions of the scam originate primarily in the United States, the United Kingdom and Nigeria. The number “419” refers to the section of the Nigerian Criminal Code dealing with fraud. Once the information is given, the next steps of collecting the relief fund are then sent. The potential victim is instructed to send a wire transfer fee via Western Union to receive the funds that have been promised to them. Sadly, this isn’t the case and victims are left with their money and sensitive data in the hands of scammers. The FBI has set up a phone number (866) 720-5721 to report any such instances of this and more information regarding these types of attacks as well as good information to stay safe can additionally be found here: http://www.fbi.gov/sandiego/press-releases/2015/fbi-warns-public-of-disaster-scams.